A pretty pillow after all! No blogging for an entire week?? Not sure what's going on... and hope inspiration and creativity come back asap. It has been extra crazy around here the last little while, though. Work mostly, but Annie underwent some minor surgery last week as well (she's doing great), and some tender loving care was required. Sitting down to surf the net, taking the time to visit my favorite blogs, and feeling generally inspired has seemed like such a luxury lately. I have however been trying to work on various projects. Yes, this includes the "ugly" pillow project, :). As you can see it is done and pretty! Not ugly at all! Haha, like I had any doubts. Even the girls agree that the Razzamatazz pillow pattern has turned out just as I predicted and is just what the living room needed. 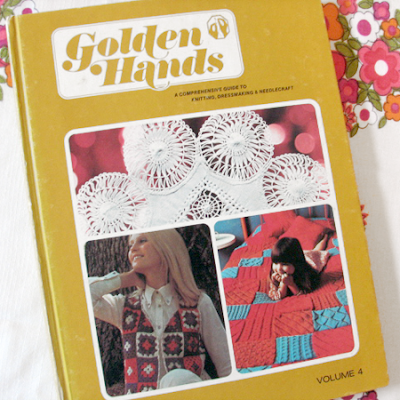 I found the pattern in the Golden Hands vintage craft book, (Volume 4). I absolutely love the Golden Hands series of books from the 70's. 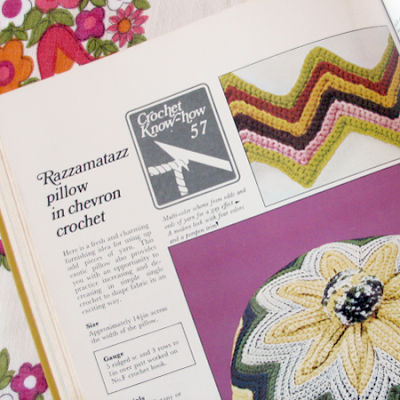 I followed the pattern exactly, but added a crochet button instead of the pompom suggested. 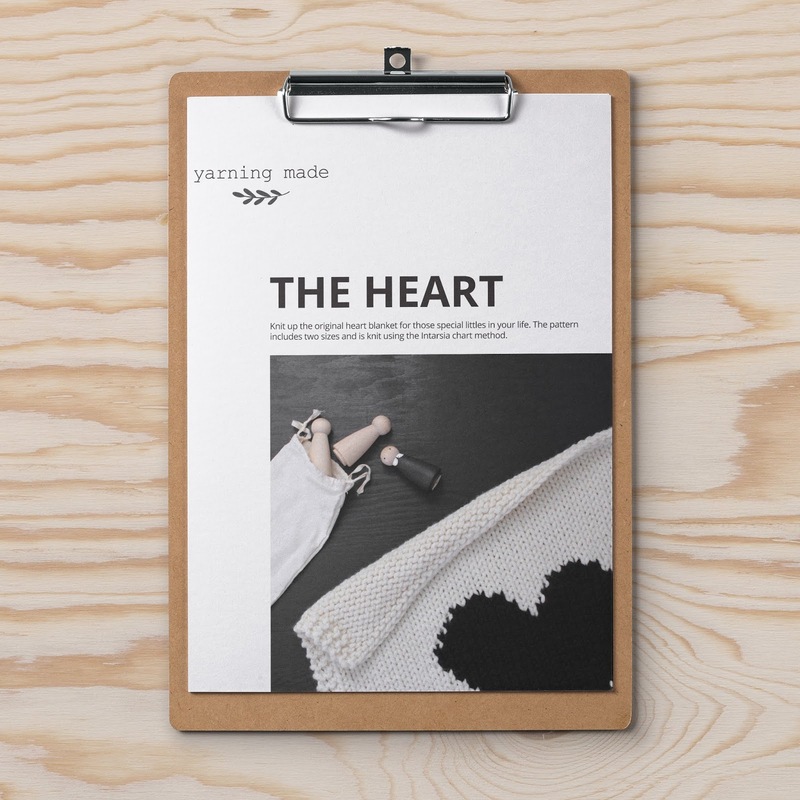 :) If someone wants the pattern but can't find the book just let me know and I'll see if I can post it! OOoohh I really like it, I must say I did have some reservations when you said you were going to make it, but it looks fabulous. Love the colour combination. Will scan the pattern real soon! 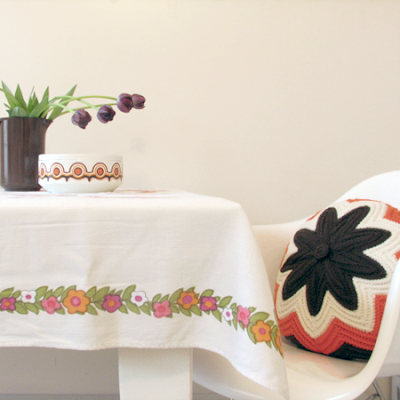 omg i just found your blog and it is amazing!! 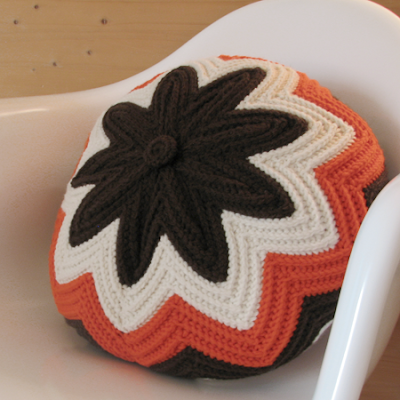 I love this pillow too, please post the pattern:) And I love that your kids appreciate your craft. Just found your blog - I remember hours of fun with Golden Hands when I was young. My grandmother made the crocheted waistcoat for my mother - she wore it almost everyday. Its now in a suitcase in my house as both have since died and its one of my most precious posssions.